Working for the archive often means we are out and about documenting political activity in Scotland. 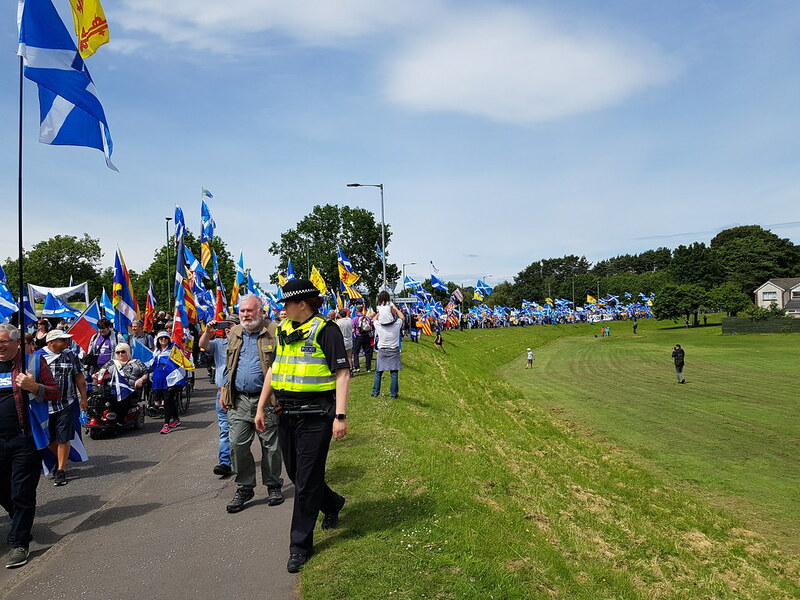 On the 23rd June we went out on a very sunny day to photograph the March for Independence and alongside an estimated 8,000 marchers we walked the two miles from King’s Park in Stirling to Bannockburn. 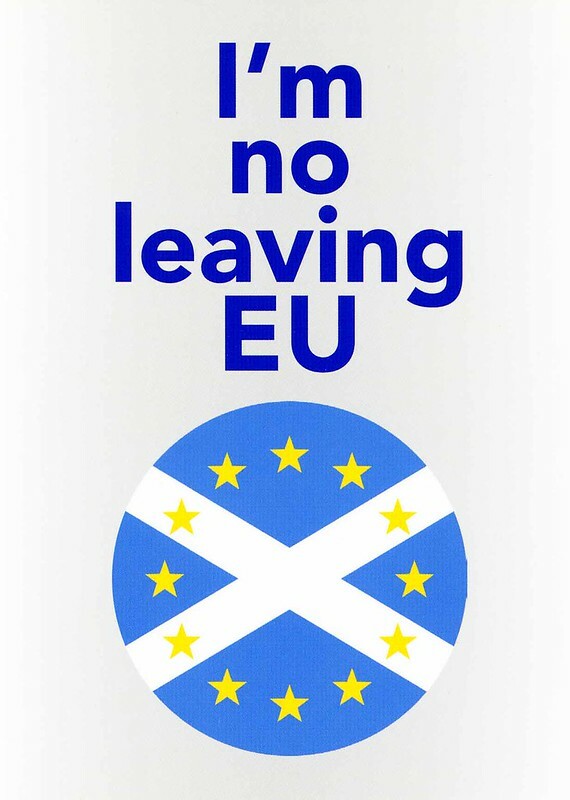 The march was organised by All Under One Banner, a Pro-Independence organisation whose core aim is “to march at regular intervals until Scotland is Free. We will host public processions in support of Scotland regaining Independence. Marching as All Under One Banner, we are open to everyone who desires to live in an independent nation”. 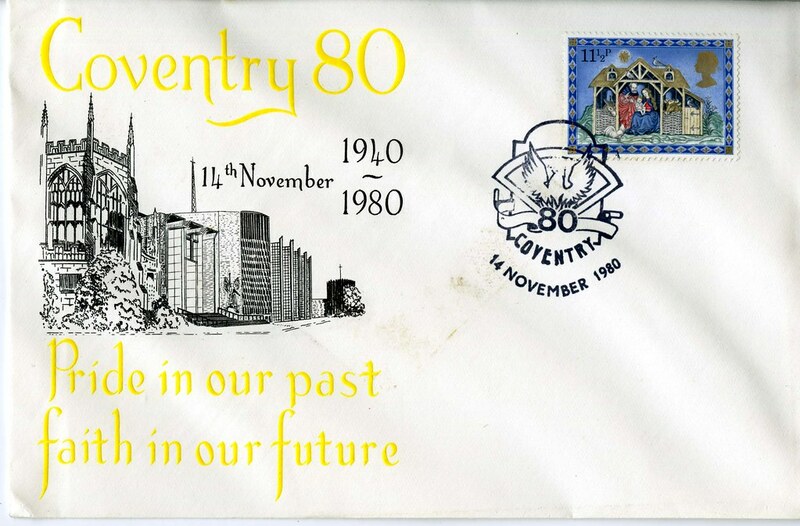 Coventry ’80 was an event organised by the citizens of Coventry to commemorate the blitz of the city on 14th November 1940. Pride in our Past, Faith in Our Future aimed to remember the city’s destruction with sorrow for the losses and thankfulness for its resurrection but also to look to the future with realistic hope. This commemorative cover depicts the east end of the ruins of the old Cathedral which was destroyes on 14th November 1940, with the ‘south’ side of the Cathedral built alongside and consecrated in 1962. This cover is held within the Kenyon Wright collection. Kenyon Wright was appointed Director of Urban Ministry at Coventry Cathedral in 1970 and then in 1974 was promoted to Canon Residentiary at the Cathedral and Director of its International Ministry. In 1980 he returned to Scotland as General Secretary of Scottish Council of Churches in Dunblane. We will be delighted to discuss any donations with you. This Order of Service is part of the Kenyon Wright collection. 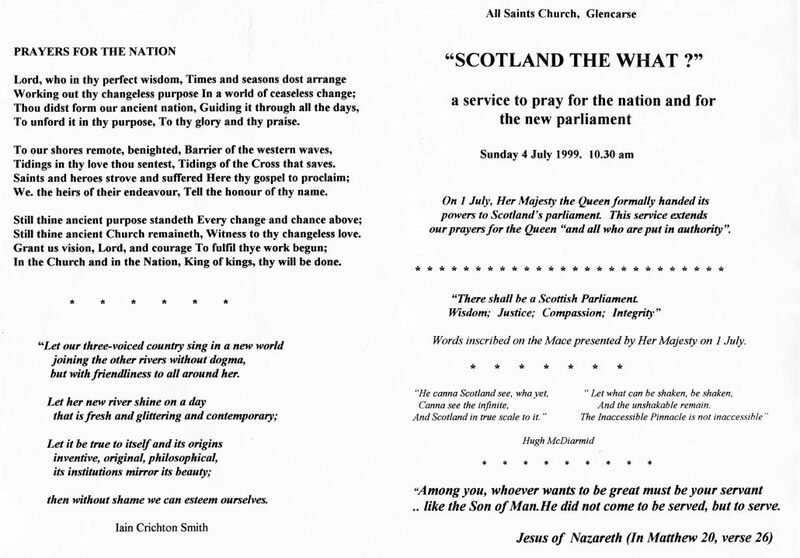 This Church Service would have been delivered by Kenyon Wright in the first Sunday following the Opening of the new Scottish Parliament on 1st July 1999. Kenyon Wright took up the post of Priest-in-Charge of All Saints, Glencarse in March 1994. Unpacking and cataloguing a new collection is always a voyage of discovery. When you take in boxes of archive papers you know roughly what subjects you hope it will cover, but there are always unexpected gems. Kenyon Wright’s archive is no exception and amongst the papers there are personal diaries, photographs and reflections on his life. 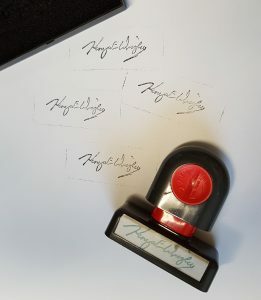 This morning I have come across personal notes reflecting on a visit to Auschwitz, his father’s driving licence and an ink stamp with his signature alongside papers from the Constitutional Steering Group. Who knows what this afternoon’s rummaging will uncover??? The University of Edinburgh’s Academy of Government and the School of History, Classics and Archaeology are jointly sponsoring a FREE one day conference and roundtable on politics in the 1970s. 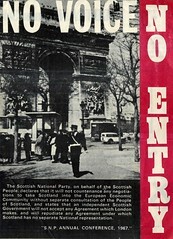 Papers will be presented on a range of subjects with particular focus on democracy and devolution in the late 1970s followed by a roundtable discussion chaired by Bernard Ponsonby, Political Editor of Scottish Television. 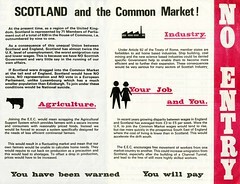 Stirling University’s Scottish Political Archive (SPA) will provide posters, leaflets and other political material from the period throughout the day and Dr Peter Lynch of the SPA will present showcasing material from SPA prior to the evening roundtable. 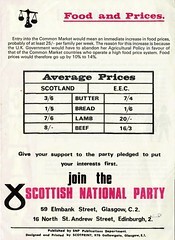 In 1988 the Campaign for a Scottish Assembly published A Claim of Right for Scotland which proposed the establishment of a constitutional convention to agree a plan for devolution. 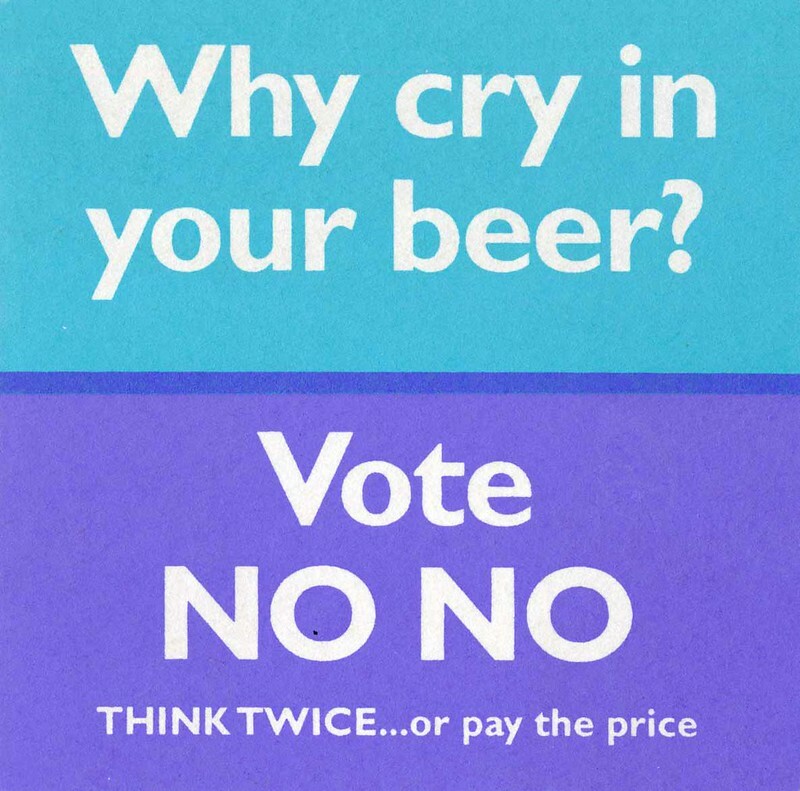 In 1989 the convention was launched with the participation of representatives from the Labour Party, Liberal Democrats, Greens, trade unions, churches and other civic bodies. 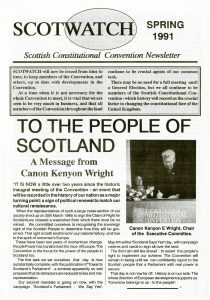 The Spring 1991 newsletter includes a message from the Chair of the Constitutional Convention Kenyon Wright. On the first anniversary of Kenyon Wright’s death an article in Cable Magazine explores the largely hidden internationalism behind grassroots Scottish politics in the 1990s. Kenyon Wright’s archive was donated to the Political Archive in 2017.